As Cameron continues to focus on helping his brother, he and Kay get to work on a case that has unknowing tourists participating in a reality show – yet it’s anything but real, it’s deadly. When a psychic is murdered, Kay and Cameron investigate only to learn she had a partner who’s now on the run. Enlisting her help, Cameron and the team take down an international arms dealer. When a churchs stained glass window is stolen while a famous street artist is painting a mural nearby, Cam and the teams investigation leads them to the criminal. When Camerons ex-girlfriend is robbed during Fashion Week, he insists on helping Kay with the investigation. The team finds themselves in the middle of a high-speed, dangerous chase. When the Mystery Woman kidnaps Cameron, the FBI calls on Jonathan Black to help find him – and stop the Mystery Woman from committing her next crime. The FBI works with the Deception group to help stop the Mystery Woman from successfully committing one of the largest jewel heists in history. And, for the first time this season, viewers will have their perspective reversed and see how Cameron Black performs his greatest deception yet. 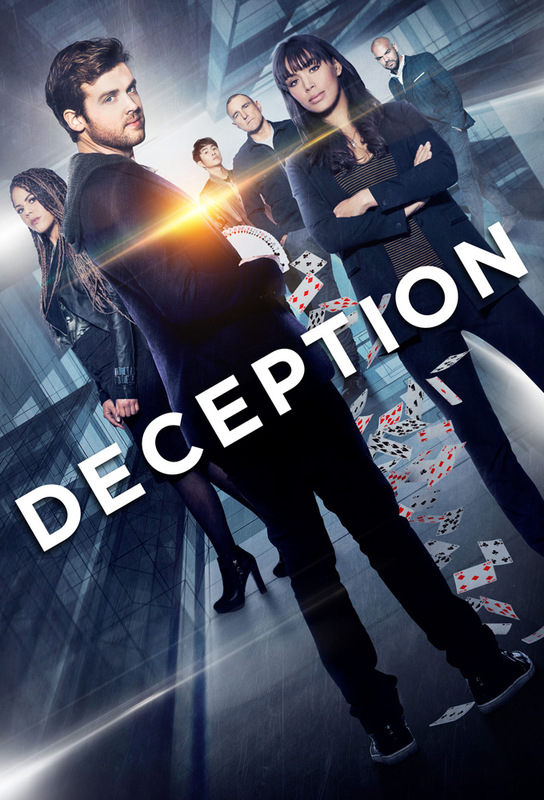 The Deception team gets an unexpected partner, while Gunter makes a discovery that will change the teams lives forever. Cameron and Kay investigate a secret society where they learn that one of them has a close family connection. The team is called on to help stop a spy from stealing top-secret military information. Cameron is frustrated when someone from Kays past comes back into the picture. The mystery woman approaches Jonathan and asks for his help after revealing that Cameron chose Kay over Jonathan. Meanwhile, Dina considers telling the FBI that she stole Mikes badge. The team goes up against the mystery woman in a battle of dueling deceptions. Just when Cameron thinks he finally has the upper hand, the mystery woman unleashes her most game-changing twist yet.